Lupus is an autoimmune disease. This means that your immune system attacks healthy cells and tissues by mistake. This can damage many parts of the body, including the joints, skin, kidneys, heart, lungs, blood vessels, and brain. Systemic lupus erythematosus (SLE) is the most common type. It can be mild or severe, and can affect many parts of the body. Drug-induced lupus is caused by certain medicines. It usually goes away when you stop taking the medicine. Neonatal lupus, which is rare, affects newborns. It is probably caused by certain antibodies from the mother. The cause of lupus is not known. Who is at risk for lupus? Anyone can get lupus, but women are most at risk. Lupus is two to three times more common in African American women than in Caucasian women. It's also more common in Hispanic, Asian, and Native American women. 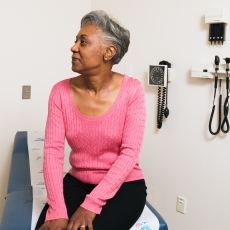 African American and Hispanic women are more likely to have severe forms of lupus. Symptoms may come and go. When you are having symptoms, it is called a flare. Flares can range from mild to severe. New symptoms may appear at any time. What are the treatments for lupus? There is no cure for lupus, but medicines and lifestyle changes can help control it. People with lupus often need to see different doctors. You will have a primary care doctor and a rheumatologist (a doctor who specializes in the diseases of joints and muscles). Which other specialists you see depends on how lupus affects your body. For example, if lupus damages your heart or blood vessels, you would see a cardiologist. Your primary care doctor should coordinate care between your different health care providers and treat other problems as they come up. Your doctor will develop a treatment plan to fit your needs. You and your doctor should review the plan often to be sure it is working. You should report new symptoms to your doctor right away so that your treatment plan can be changed if needed. Besides taking medicines for lupus, you may need to take medicines for problems that are related to lupus such as high cholesterol, high blood pressure, or infection. Alternative treatments are those that are not part of standard treatment. At this time, no research shows that alternative medicine can treat lupus. Some alternative or complementary approaches may help you cope or reduce some of the stress associated with living with a chronic illness. You should talk to your doctor before trying any alternative treatments. How can I cope with lupus? It is important to take an active role in your treatment. It helps to learn more about lupus - being able to spot the warning signs of a flare can help you prevent the flare or make the symptoms less severe. It is also important to find ways to cope with the stress of having lupus. Exercising and finding ways to relax may make it easier for you to cope. A good support system can also help. Article: MIG in Cutaneous Systemic Lupus Erythematosus.